In Friday night's task presentation, Big Brother wanted housemates to pull their best presentation yet. 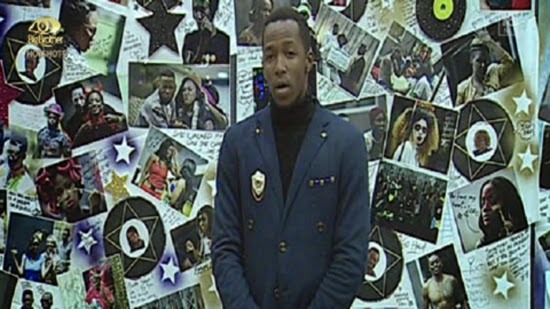 As per Biggie's expectations, housemates' memory wall and sculptures were completed for the presentation and when the hour hiteth, hotshots stood next to their sculptures, ready to present. Idris was the director of the presentation and when the task presentation commenced, he introduced viewers to the memory wall and walked Big Brother through the creative decisions and the impact that housemates made on each other through the hotshot journey. Butterphly shared a poem dedicated to all the housemates, even the ex-hotshots. After the memory wall presentation, Idris, the director, called each housemate to explain their sculpture, what they represent and take Big Brother through what each element means for the housemate. Housemates were very orderly and each came to tell their story through their sculptures. At the beginning of the task presentation, Idris declared their presentation the best of all and it was indeed so. There was no need for too many words as everything was in the pictures and Idris said that the whole finale week was the extravaganza for them! The housemates impressed Biggie and won themselves a mega reward from him. Biggie thanked them for a sentimental and emotional journey that they took him and the rest of Africa through. This week housemates were tasked with looking back and visually illustrating the Hotshot season. Housemates had to construct sculptures as well as make a memory wall collage. Housemates were also expected to switch characters and become some of the people who were part of the journey. Big Brother gave housemates a variety of materials, tools and equipment to build their memory wall and craft their sculptures - the rest was up to housemates' memories and imaginations. Housemates were tasked to look through their journey in the Big Brother house and evaluate how they have grown to be the hotshots they are now. Big Brother was impressed with what the hotshots presented and was convinced that the housemates took the week’s tasks seriously and did ttheir best to stay in character. Biggie also seemed convinced that the housemates’ sculptures and memory wall was worthy of an art exhibition. Housemates indeed managed to capture their experiences in art! With that, Biggie congratulated the housemates and told them that they had won their mega reward! Biggie promised them a five star dinner with some special guests tomorrow. We wonder who will form part of the "special guests". The task presentation went very well and housemates captured their most treasured memories in the house. Would you agree that it was a beautiful task presentation? Which one stood out for you? Tayo did not hide himself..from day 1 he was reallll...not a green snake idris.. Imagine UN chief Ban Ki Moon endorsed Tayo as hotshot winner. Botswana, namibia population combined = Half of Lagos city population. So shut up ur big mouth. You can't argue with big country like Nigeria. Omo eko.how your mara be, do come oooo,we are Watin for you with the mola..your son says.....congratulation day for bringing the ego to naija. Naija blessed country on earth. Tayo!! Jealousy and dirty tricks are coming out now vote for your Tayo and leave Idris alone why use dirty tricks did Idris force himself into any lady in the house.........Idris we are behind you and God is going to protect you and punish your enermies severely they will not believe come day 63.